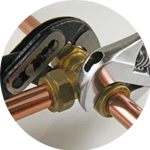 Reliable and customer-friendly plumbers are in sure supply at The Handy Squad. 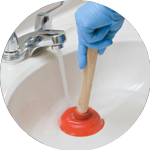 We have been completing plumbing tasks for over decade to an exceptional standard and currently have plumbers working within the Coombe region of London. 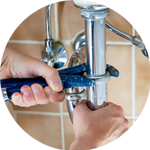 Your plumber in Coombe will have the required expertise and knowledge to complete any plumbing task promptly and guarantee a long lasting and quality finish. 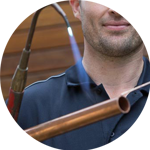 There won’t be anything your plumber in Coombe won’t be able to handle as their unrivalled passion and skills enables them to undertake even the most technical plumbing issues. Your plumber in Coombe will be able to assist with anything that relates to; Replacements, Unblocking, Installations and Repairs. Coombe is a historic neighbourhood with lies within the Royal Borough of Kingston upon Thames. The area plays host to prestigious properties, many of which are priced well into the millions. We have a wide variety of trade services available at The Handy Squad. Any of our Handymen in Coombe will be able to assist with any domestic trade tasks such as Tiling and Flat Pack Assembly. If you require more specialised tradesmen, we have an electrician in Coombe as well as decorators and carpenters in London. There is no limit to the high-quality trade services we prove here in the capital. To book your handyman, carpenter, decorator, electrician or plumber in Coombe, fill out our online booking form.